Tricker’s M.T.O Cordovan Polo Chukka with Beams Plus green tartan socks and Ralph Lauren navy chinos. I’m a big fan of the blog A Suitable Wardrobe. 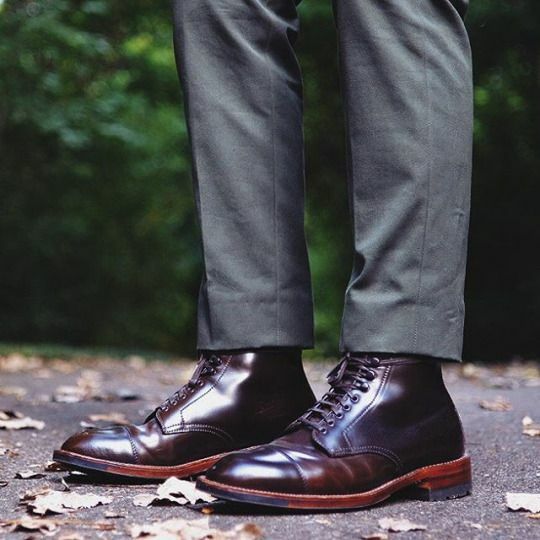 Although my own sartorial interests lie on the casual side of menswear, I find Will Boehlke’s musings about classic and bespoke tailoring very inspiring. Many of his ideas and principals regarding colour, pattern and texture are applicable across every gentleman’s wardrobe. One of my favourite regular posts from Will has been his Suit & Sock installments. I start pretty much everyday with an idea to wear one thing in particular and then dress the rest of the outfit around it. More often than not, that item is either shoes or socks. 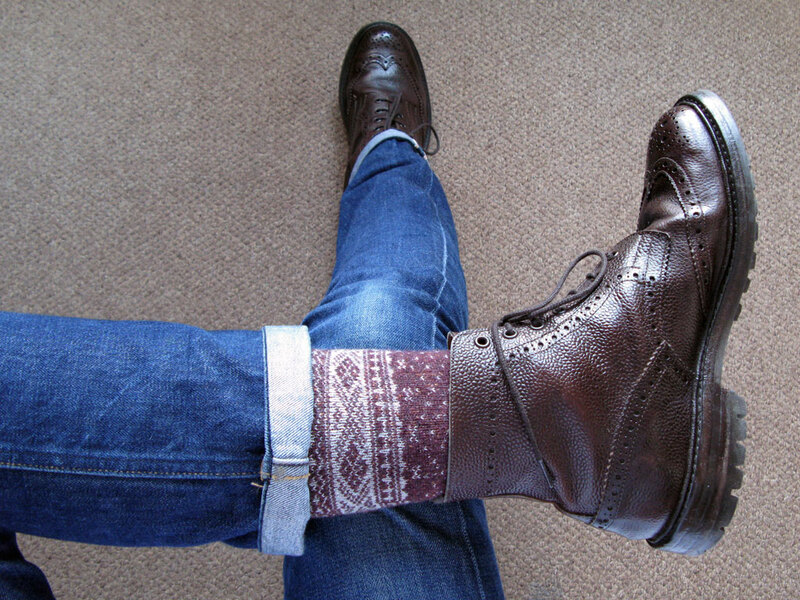 Socks often dictate an outfit as it can depend on what’s available on that day (i.e. not stuck in the laundry). I never don a pair to coordinate with anything else I’m wearing, but rather to compliment another garment (co-ordination being one of Will’s biggest no-nos. A man should look like he took care to look good, but didn’t try too hard). You’ll notice there is a lot of Fair Isle in this particular collection of shots. It’s obviously a great winter pattern, adds a flash of visual interest to the ankle (make sure what’s going on up top isn’t too brash as well – don’t want to over cook your ‘look’!) and it often has plenty of colour to work with for the rest of the outfit. So with this post – rather than a total rip of an idea – please think of it more as ‘Stitched & Stitched after A Suitable Wardrobe’. A casual man’s whimsical and light hearted homage to the serious business of classical menswear and colour matching. There’s more to come down the line – I’m already looking forward to Summer so I can break out some socks and sandals combos. 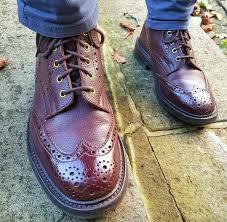 Regardless of my missus wincing every time I mention it, I’m convinced they’re going to be the way forward. 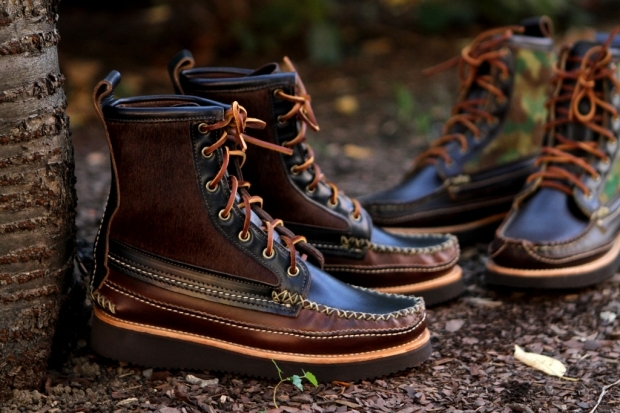 Yuketen M.T.O Maine Guide Boots with Present London mixed red and blue wool socks and four year old A.P.C New Standards. Tricker’s M.T.O Black Scotch Grain Toe Cap Derbys, worn with Ralph Lauren black and white polka dot and Fair Isle trim socks and two year old A.P.C Petite Standards. 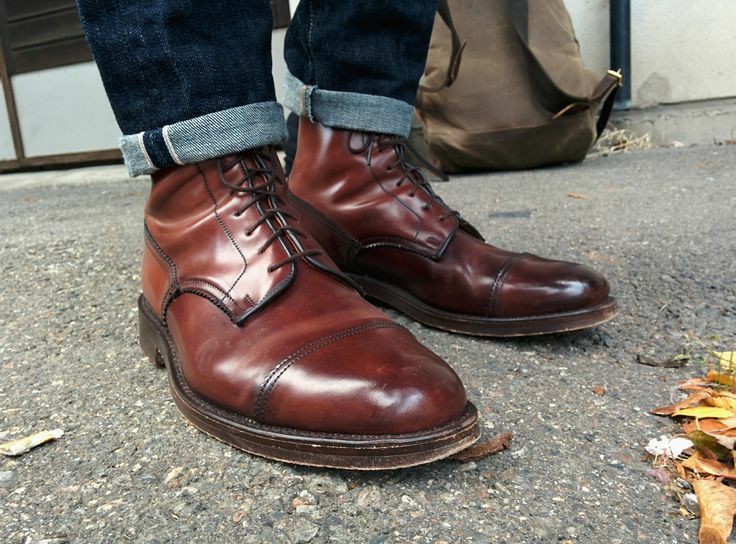 Alden Horween Cordovan Longwing Bluchers worn with Falke red Fair Isle socks and Our Legacy brown cords. 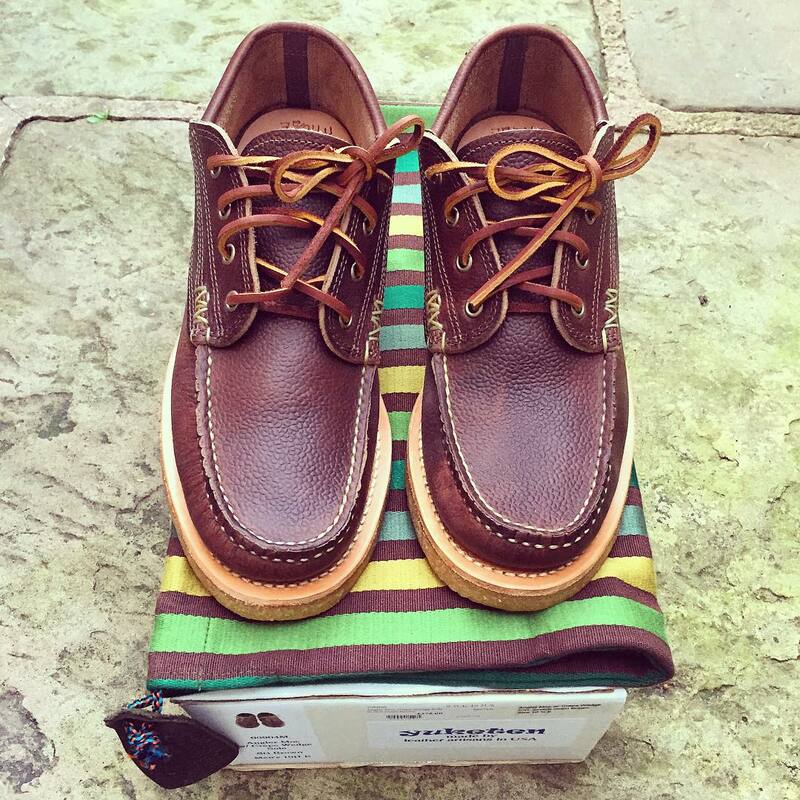 Yuketen Peanut Suede Angler Mocs worn with Ralph Lauren green Fair Isle socks and 4 year old A.P.C New Standards. 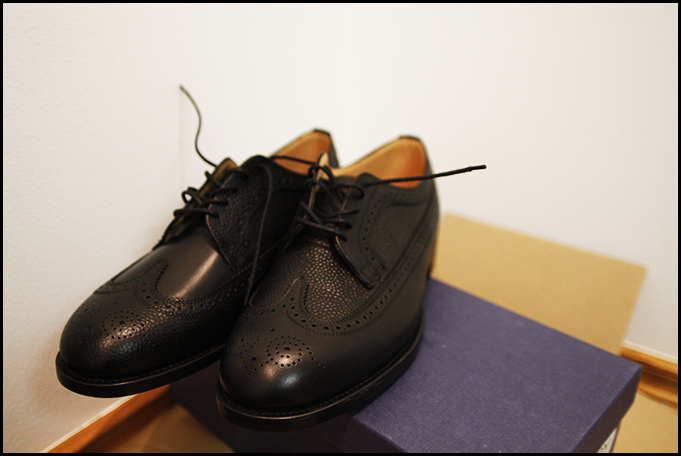 Mark McNairy x Engineered Garments Longwing Derbys worn with Ralph Lauren Rugby socks and Post Overall Brick Red Cords. 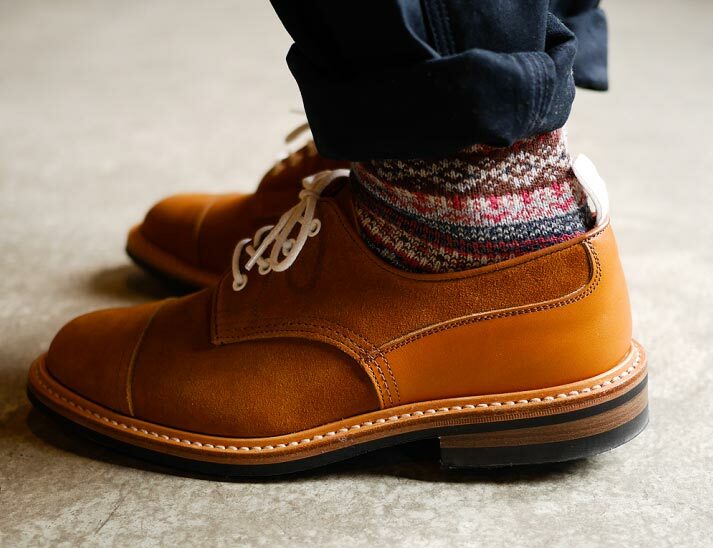 Tricker’s Espresso Scotch Grain Stow Boots worn with Falke wool Fair Isle socks and two year old A.P.C Petite Standards. 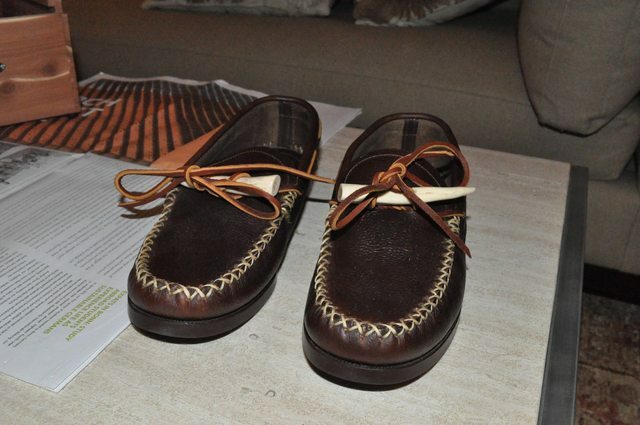 Yuketen M.T.O Antler Mocs worn with Ralph Lauren cream and blue Fair Isle socks and Our Legacy cords. Tricker’s M.T.O Cordovan Polo Chukkas worn with Ralph Lauren cream and navy large Fair Isle pattern socks and two year old A.P.C Petite Standards. This entry was posted in Detail Matters, Footwear, Laundry and tagged A.P.C., Alden, Beams Plus, Engineered Garments, Falke, Our Legacy, Post Overalls, Present, Ralph Lauren, Trickers, Yuketen. Bookmark the permalink.